Reel Talk Online: First Look: "The Green Hornet"
First Look: "The Green Hornet"
Seth Rogen has been known to play idiot potheads in most his movies, but in next year's The Green Hornet, the newly trimmed down Rogen is all swag as a newspaper publisher moonlighting as the famous caped crusader. Take a look at the first few photos surfacing on the web of from the movie, co-starring Cameron Diaz, Christoph Waltz and Edward Furlong (as Kato, his sidekick martial arts guru). And check out the brand new trailer below. 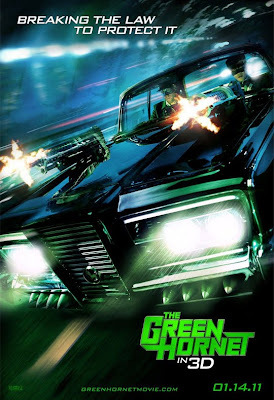 The Green Hornet flies into theaters on January 14, 2011.